News TV Channel / Guyana's leading Newscast! Editor-in-Chief is Enrico Woolford. Nightly Newscast on WRHM 7 in Georgetown, Guyana. 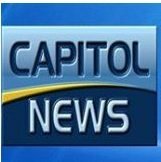 Capitol News (WRHM) is a news channel headquartered in Georgetown.